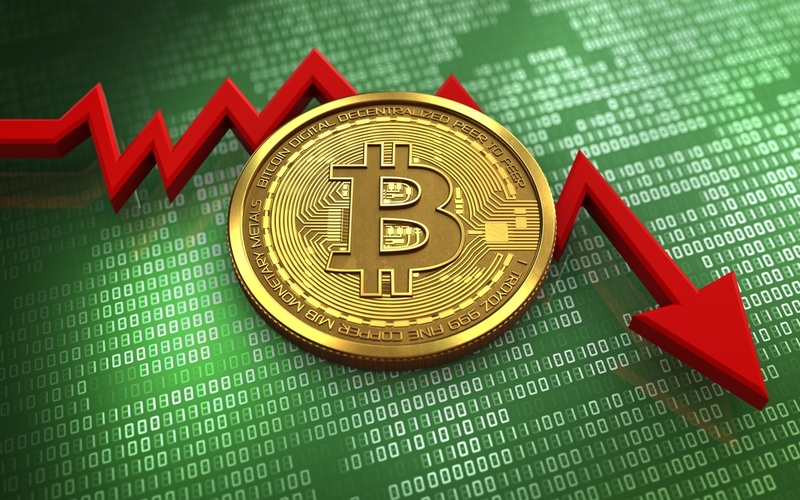 If you’ve had your finger on the pulse of the cryptocurrency world in the last two weeks, it won’t have escaped your attention that the market has recently suffered a significant crash. Bitcoin has dropped to a 13-month low, and the market as a whole lost more than $27 billion in just 24 hours. Although some of this can be attributed to volatilities in world politics, a huge driving force behind the crash has come from a selloff motivated by the Bitcoin Cash hard fork. Unable to agree on a single direction for the cryptocurrency to take, developers have split into two warring factions: Bitcoin Cash ABC and Bitcoin Cash SV. If you’re in it for the long haul and want to ride things out until the market recovers, you’ll want to check out the following ways to keep up your mining profitability in these unstable, trying times. Established and more valuable coins are harder to mine. The more miners that have jumped on the bandwagon, the less likely you are to reap the rewards and the more you have to spend on hardware to keep up. The Bitcoin network, for instance, processes quintillions of hashes per second – if you haven’t got an industrial equipment setup, the likelihood of you striking gold is incredibly slim. Consider focusing on altcoins – less established cryptocurrencies that are in need of more miners and thus are less complex to mine and more likely to pay out. Promising newer altcoins can be found through online directories such as CoinMarketCap. Operating system: Change virtual memory settings so that you have 3GB for each GPU in your rig. Disable operating system updates and any unnecessary services. GPUs: Clock speed and voltages for each individual GPU in your rig can be altered and the power consumption and hash rate monitored with special software. 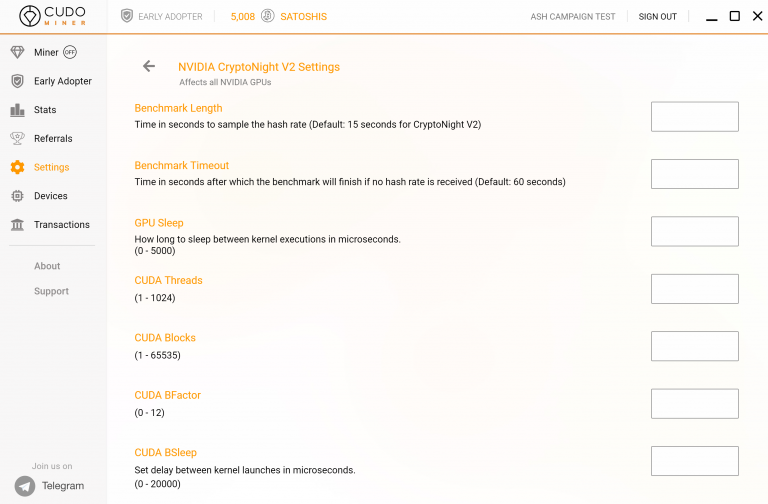 Mining software: Configure custom settings per hashing algorithm to optimise performance based on GPU core architecture and underlying mining software. Electricity is the largest variable cost when it comes to operating a mining rig, and while market values may go down, it is a fact of life that energy prices do not! Some utility providers offer a lower tariff for night-time consumption – these plans are often called Economy 7 tariffs in the UK. Night-time tariffs can be up to 70% cheaper than daytime electricity consumption – should you be on one of these, your rig can be set up to schedule all or the majority of its work during the cheaper hours. Coin values fluctuate constantly, and new coins enter the market all the time. You can use a profitability calculator to check if your preferred cryptocurrrency is still worth putting mining resources into. Keeping on top of this ever-changing tide can be hard work, however. Multiminer software, such as Cudo Miner, constantly monitors the market in real-time, automatically switching to the most profitable coin and maximising your return, in addition to offering a range of advanced settings enabling per algo presets for optimisation including GPU intensity, block and grid size. 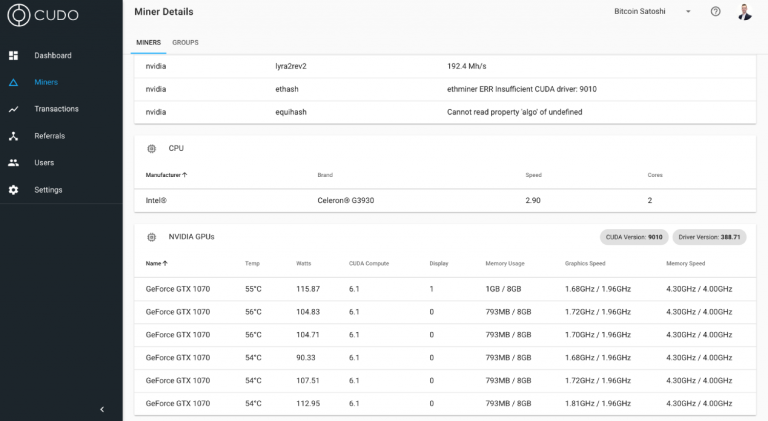 Cudo Miner also offers a range of analytics designed to help you track everything you could possibly want to know about your mining performance. These can be accessed through an intuitive and extensive web console. If you haven’t already, download Cudo Miner today!